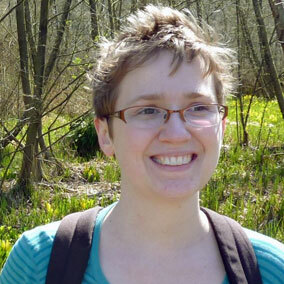 Susannah is a PhD Candidate in the Department of Forest Sciences at UBC. While an undergraduate at Northern Arizona University, Susannah studied how rising carbon dioxide levels might be helping scrappy desert pinon pine survive dry conditions, even as higher carbon dioxide is implicated in recent droughts in the southwestern US. Now, she’s trying to figure out if lodgepole pine can adapt to climate change. As the climate changes, locally adapted populations will become maladapted in their current locations. Pollen could move warm-adapted alleles into cool-adapted populations that are experiencing warming, but pollen-mediated gene flow could also oppose local adaptation and even bring in more maladapted alleles. My goal is to determine how viable pollen movement and the timing of male and female reproductive events interact to structure potential gene flow in wind pollinated conifer species and to consider how this may affect local adaptation under climate change.